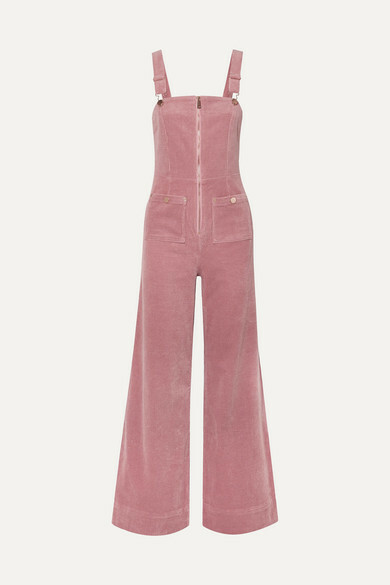 alice McCALL refreshed its 'Quincy' overalls in a pretty baby-pink hue for the new season. 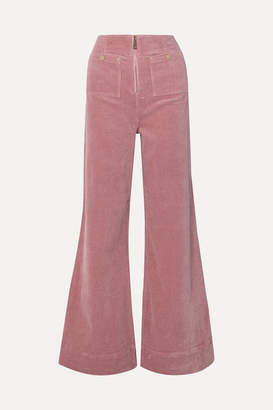 Cut from stretch-cotton corduroy, they have a straight neckline and wide legs that kick out just below the knee. Style yours with a T-shirt and ankle boots.